- Shore-Brace table with prop extension is very flexible, so it is one of the best systems for building constructions. Shore-Brace parts can be connected to each other and so available to any height. or by prop extension in Shore-Brace table for building. - Variable heights can be obtained by using Shore-Brace system as heavy duty. - This system is so limited in lost items because it needs so few accessories. - The system is easy in erection and dismantling, so it does not need skilled labor. of components, to offer high carrying load capacity towers for heavy slab construction at all heights. 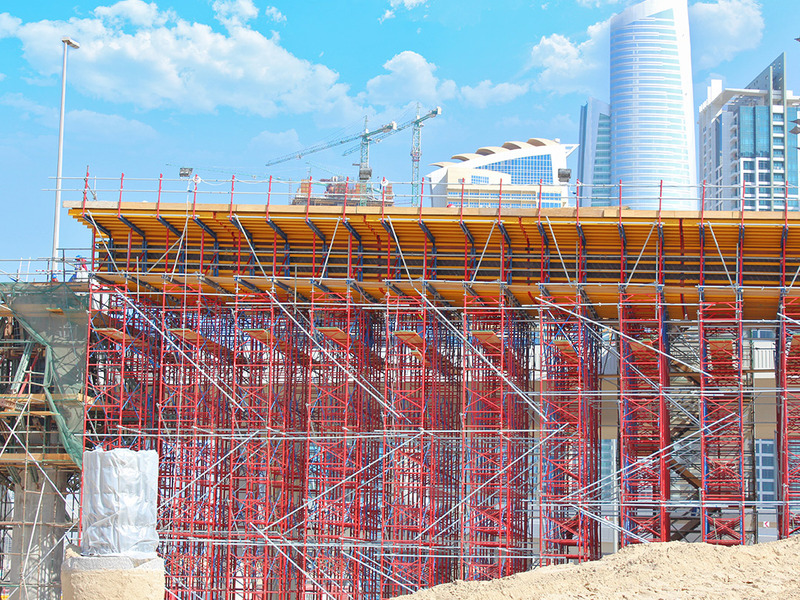 We aim to be the preferred formwork and scaffolding supplier in Gulf, MENA region, and Europe, providing the best customer experience, being a desired employer, creating value for our shareholders, and proudly contributing to the development of our formwork and scaffolding industry.